The Rowan women’s basketball team has used the same starting lineup all season long, one that features some of the New Jersey Athletic Conference’s best players. 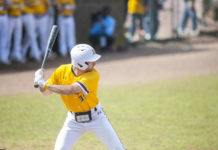 Of the several Profs players who hold top spots in statistical categories in the conference, only one can boast honors in multiple sports on her résumé. That athlete is Melissa Lake, whose résumé over the last four years of competing at Rowan includes time split between the track and the basketball court. 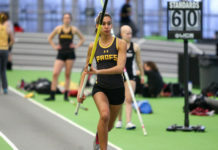 As a member of Rowan track and field, the grad student from Marlton, NJ has four trips to the NCAA Division III Championships, three All-American titles, a New Jersey Athletic Conference title and three all-conference team selections to her name. And as a member of the basketball team, Lake, this season, ranks 25th in the NJAC in points per game, 18th in rebounds per game, ninth in field goal percentage and 13th in three-point percentage. Lake competed in track and field for a total of eight years, beginning her freshman year of high school and finishing up in 2015. She started her career at Rowan throwing the javelin. During her junior season with the Profs, she started doing the heptathlon, which consists of javelin, shot put, high jump, long jump, 200m, 100m hurdles and 800m. Despite all of her success as a track and field athlete, Lake said that basketball was her favorite sport coming out of high school. Lake played basketball her freshman year of college, but stepped away from the game for personal reasons before coming back to the team. 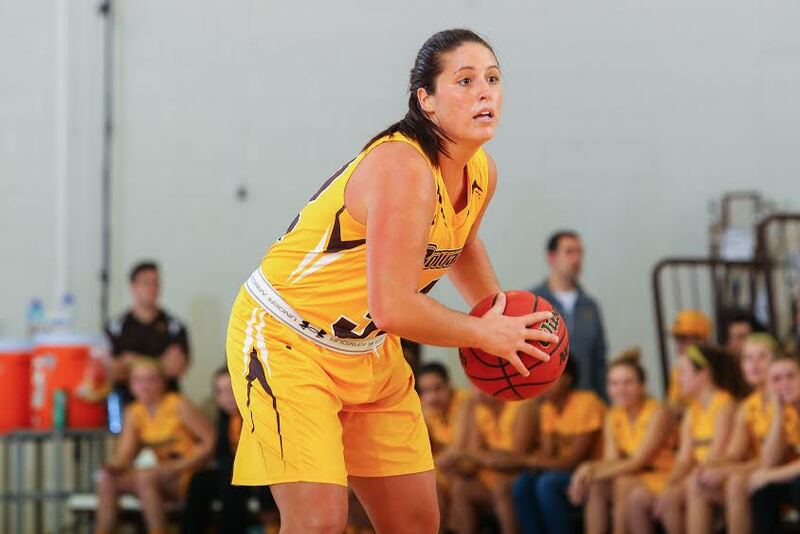 Rowan women’s basketball coach Gabby Lisella is happy to have Lake back on the team. Only four regular season games remain on the schedule for the women’s basketball team. The Profs have already clinched a spot in the NJAC Championship Tournament, and will likely be selected for the Division III Women’s Basketball Championship where they hope to make a run at a title. For Lake, it would be another accomplishment to add to her already impressive list, and for those close to her, another testament to the caliber of athlete she is. For questions/comments about this story, email sports@thewhitonline.com or tweet @TheWhitSports.